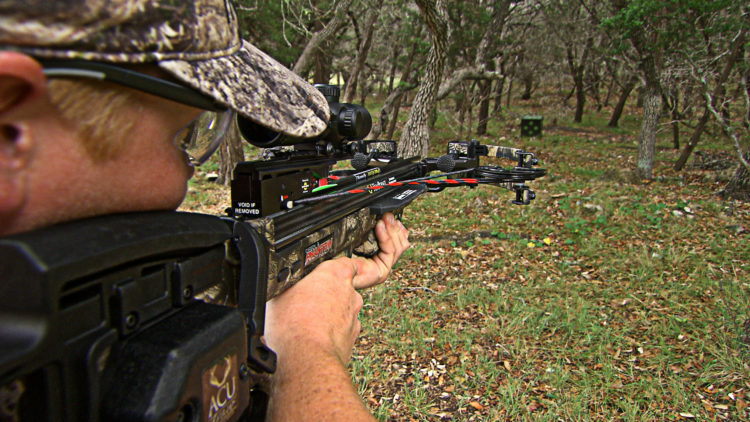 RCX (Reverse Cam Crossbow) technology is the latest breakthrough in hunting crossbow innovations. Many of you have probably seen and heard about both of the RCX models for 2017: The Carbon Phantom RCX and Eclipse RCX. If you get the opportunity, stop intoyour local dealer and test them out. It’ll be the smoothest shooting experience you’ve ever had, and here’s why. First, reverse cam technology flips how the string comes off the cams. Rather than traditional forward draw crossbows, RCX strings come off the front of the bow assembly (closest to foot stirrup). On a standard length barrel, this increases the power stroke by the width of the cam, roughly 2.5 inches for TenPoint crossbows. For those of you who are not familiar, the power stroke is equivalent to draw length in vertical bows. Traditionally, the longer the draw length, the more time the string has to interact with the arrow, the faster it can propel an arrow down range. Shooting the same weight arrow, someone with a 30-inch draw length shooting 60 pounds of draw weight will ALWAYS produce a faster velocity. 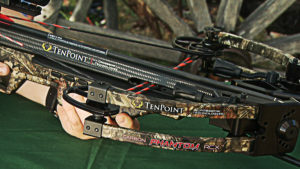 So the RCX technology enables us to increase the speed of TenPoint crossbows. Second, many crossbows on the market today are shooting 380 feet per second or more, but that requires a little more draw weight (upwards of 200 pounds in some cases). The RCX technology, with added power stroke, means that we can produce blazingly fast crossbows that don’t require increasing draw weight. The Carbon Phantom RCX shoots a rifling 385 feet per second, while only pulling 160 pounds of draw weight. Some of the standard forward draw crossbows that pull 160 pounds are only capable of producing speeds around 330 feet per second. You see the incredible trade off? The Eclipse RCX fires arrows down range at 370 feet per second and only requires 140 pounds of draw weight. 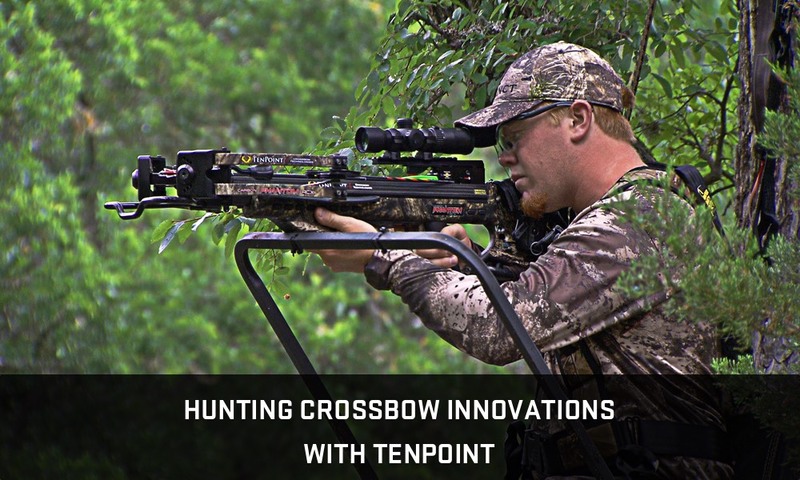 The only other crossbow that TenPoint manufacturers that has a comparable draw weight is the new Horton Vortec RDX, which requires 135 pounds of draw weight and shoots 340 feet per second. Again, you see the tradeoff? The third and final major advantage of RCX technology is that, because these crossbows don’t require tremendous draw weights, the life of the bow is lengthened. Every time you draw a crossbow and fire an arrow, you are putting stress on the limbs, cam, riser, string, and cables. Naturally, like anything, the less effort required for that all to happen, the less stress the crossbow will feel. Much like human’s lower stress levels mean an overall healthier crossbow and many many years of hunting to come! Aside from these main benefits, RCX technology also allows TenPoint to produce EXTREMELY narrow string angles. Measuring just 8.75 inches inside-of-cam to inside-of-cam when cocked, there is far less likelihood of anything interfering with the bowstrings path down the barrel. It just doesn’t fan out far enough from the width of the barrel itself. What this also produces is a forward draw crossbow with the same maneuverability as the narrow RDX crossbows. They are tight and compact front ends and are perfect for any sort of close-quarter hunting situation. This could be in a ground blind, tucked up against a tree in some brush on the ground, or 20 feet high in a treestand. You’ll never have to worry about not being able to maneuver into position for a clear shot. If your lanes are clear, your RCX crossbow will allow you to make that shot. Now that you know more details about the design process for the RCX technology, we want to encourage you to make a visit to your local dealer and test these crossbows out for yourself. It’ll be love at first shot, we know it!